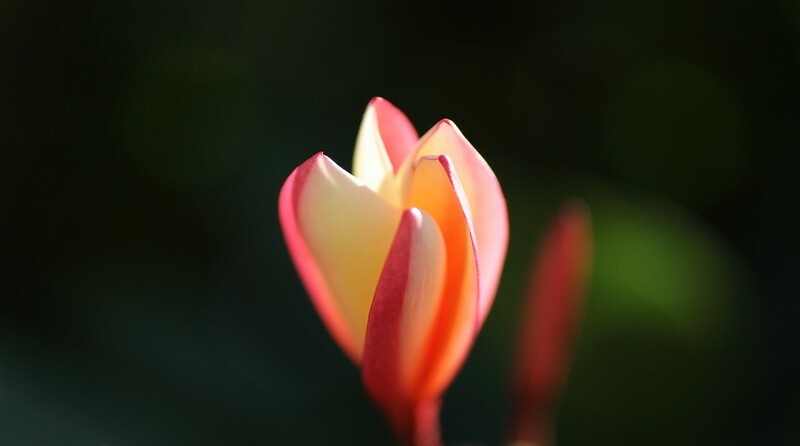 Lovely capture of this Plumeria. Beautiful diffused portrait of the flower !! Like the simplicity of this shot! Beautiful shot and DOF! Merry Christmas! Beautiful bud! Merry Christmas Eve to you and yours!